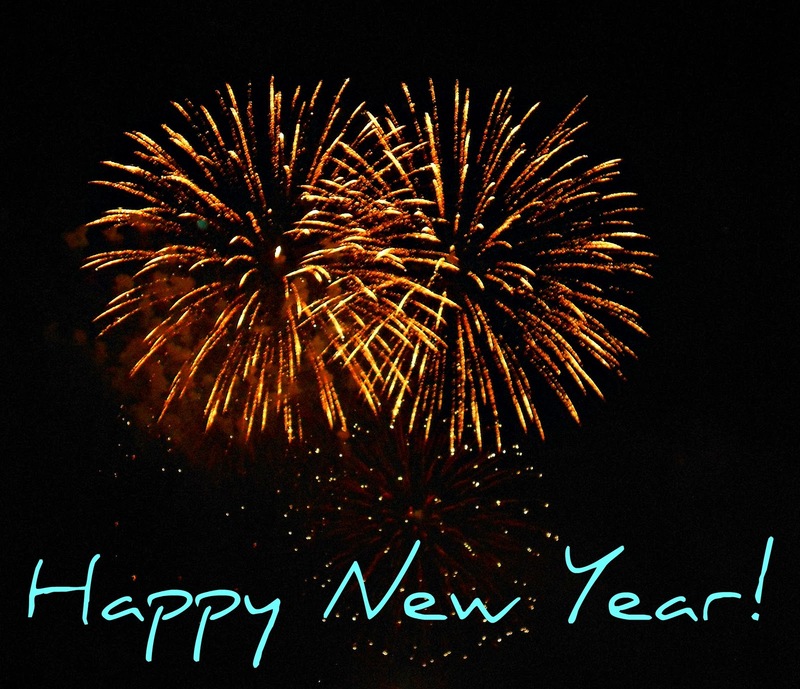 “Happy New Year.” (no, no exclamation mark, just period) Smile. Words. Move on. I do it every year and it is done to me every year. Mechanical, and polite and seasonally appropriate. But it seems like many people did not have a happy 2013; at least from the comments I’ve heard and seen. And this year I get a sense that there is not a great deal of confidence about 2014 being a better year. We can have a happy new year. You can have a happy new year. The worst can come to pass and not make it a bad year. What is the worst for you? Financial ruin? Relational failure? Health destroyed? If you have health and wealth and great relationships, there is a way to have them better than you’ve ever had them before. Healthier. Wealthier. Lovelier. There is a secret to having a happy new year. It is an open secret, however and we are all able to learn it. If 2013 wasn’t a good year for you, it is probably because you feel you were impoverished in some way. You lost something. Your money did fly away. Or you did lose a relationship or your health did fail. If 2013 was a good year it was probably good because you feel you were enriched in one or more of those areas: bank account, love life, health (although we don’t always take note of this at the time). If you are nervous or hopeful about 2014 it has to do with the prospects of being enriched or impoverished in those areas next year. But what if you were so rich in all those areas you could not become enriched or impoverished? What if you had so much wealth, and health, and love that giving as much as you could give you never got poorer or sicker, or lonelier? 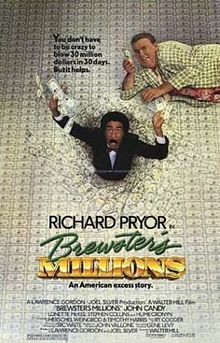 Brewster’s Millions was a movie in the mid 80’s with RIchard Pryor and John Candy (enough reason to want to see it). Brewster inherits a ton of money, 30 million, but the catch is that he can inherit 300 million if he spends the 30 million in 30 days without telling anyone what he is doing. He goes on a mad spending spree trying to lose all his money and have nothing to show for it. The only problem is the more he spends the more money he makes. When he wrote those words he was in prison facing execution. He was in the most impoverished state imaginable; away from relationships, wealth and health. Yet he says he is content. To be precise he says he had “learned” to be content. He said he had been wealthy and poor and come to a place where neither state changed his true condition. He was full. He was Brewster. He found out that no matter what he spent he wasn’t poorer. He found out that no matter what he gained he wasn’t any richer. What happened to Paul? Could it happen to us? In reality he found out that he didn’t have a rich uncle who died and left him everything, but he did have a rich older brother who died and made him into the heir of infinite riches. Riches that can not be exhausted. This is the Christian story of the world. Jesus Christ, the true older brother, the one in line to receive the inheritance of God the Father, chose to die on a cross so that we could become the heirs. But it isn’t only wealth that comes to us through him (although God is the owner of all things and so we can lay claim to all wealth), but it is also health given in the defeat of death and love given in the defeat of hell. The cross is Jesus the infinitely wealthy, healthy, and beloved becoming utterly impoverished so that anyone who asks according to his name can become heirs of God. He loses all his possessions, even the clothes off his back are taken away at the cross. He loses his health, writhing up and down as he is executed. And worst of all he loses his Father, crying out in abandonment. All is lost so that infinite love, health and wealth can pass to us. This is the secret Paul learned. This is the way to have a happy new year and forget the old. Become the heir. Take the offer. And then go on a spending spree. Give away as much love and money and energy as you can. You can’t lose. This entry was posted in Faith, Gospel, Jesus, Life and tagged Brewster's Millions, john candy, New Year, RIchard Pryor by RonKJones. Bookmark the permalink.